They have inspired with their determination and passion. Some faced adversity head on and came out victorious. Bravo, said readers who supported these heroes with praises and admiration online. Here is a look at six stories that inspired this year. Mr Wong Zi Heng used to be someone who planned a lot for the future. But everything changed for him during what was supposed to be a fun orientation camp. After diving into the sea at Sentosa shortly before he started his second year of university, he suddenly found himself unable to move. He also could not feel his body. Doctors later found that Mr Wong, who was 21 at the time, had fractured his neck and injured his spinal cord. He was paralysed from the chest down. 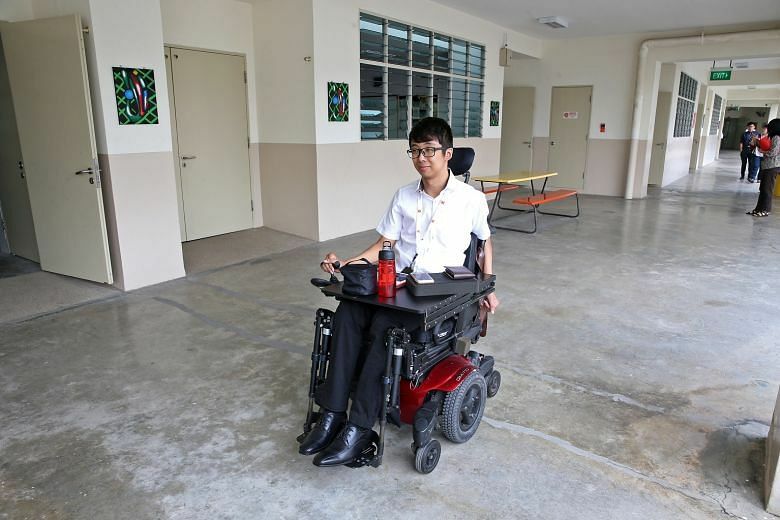 Despite the immense difficulties he faced, Mr Wong only cried once after the accident. He said: "I didn't feel sorry for myself. I didn't ask why this had happened to me or what I had done to deserve this. With reasonable probability, it could happen to anyone and it just so happened that it happened to me. "So I felt it was more useful to focus on what I could still do, instead of what I could not. If I kept focusing on how difficult my life was, I would sink into a downward spiral." Getting a degree is not an easy task. Getting one while you are working full time, and taking care of a family of your own is even harder. But that is just what Ms Angela Goh, a part-time Singapore University of Social Sciences (SUSS) student did. On Oct 10, she received her Bachelor of Science in Business Analytics degree after three difficult years. During the time, she had to juggle her job at a government enforcement agency, take care of two sons aged eight and 10, and attend night classes at the university. 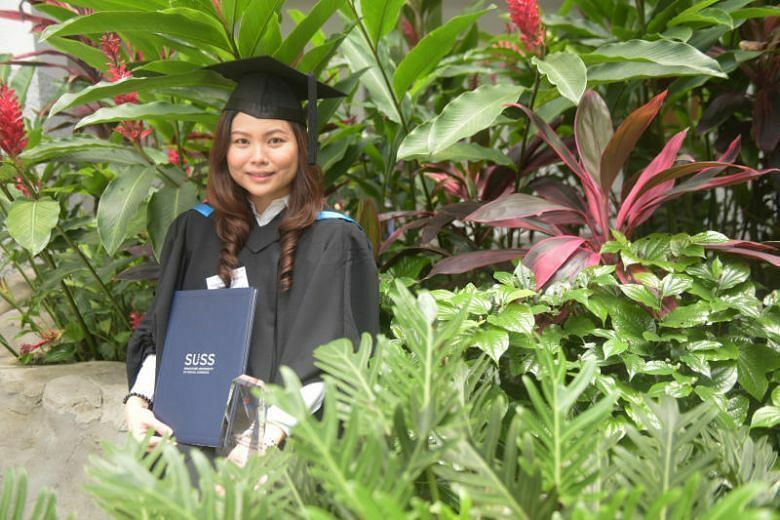 Before enrolling in SUSS, her highest certification was a polytechnic diploma in marine engineering. However, she was unable to further her studies earlier due to financial reasons. Ms Goh sets an example for her children as well. She said: "At home, my sons would be doing their homework and I would be doing mine. There were some periods when they finished their exams before me, and I was still burning the midnight oil. "I always tell my children, 'Nothing can beat a hard-working person'. If they work hard now, they will have an easier time in the future." A mild case of the sniffles, or simply feeling tired might be enough to keep some students away from school, especially on an examination day. Eight-year-old Wang Fuman, however, would not be deterred by freezing weather or a long trek. On a cold winter day in January, the Primary 3 pupil in China braved minus 9 deg C conditions, taking an hour to walk 4.5km from his home to his school in Zhaotong, Yunnan Province, to sit an exam. It was so cold that by the time Wang Fuman, eight, arrived in school, he had icicles forming on his hair and eyebrows. He also suffered from frostbite. 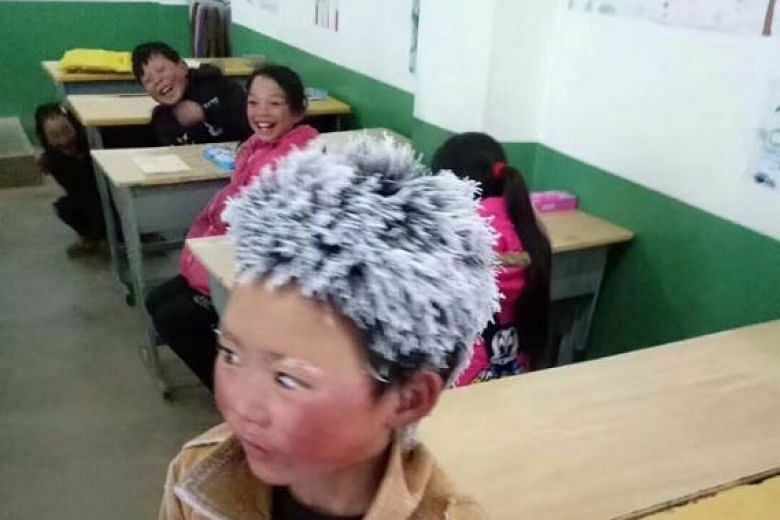 A photograph of his ice-covered hair and eyebrows was posted online by his school principal, giving rise to the nicknames Ice Boy, Snowflake boy and Frost boy. Many readers praised the boy's determination, with some calling him brave and resilient. He was just a student in a foreign country, on a night out with his friends. 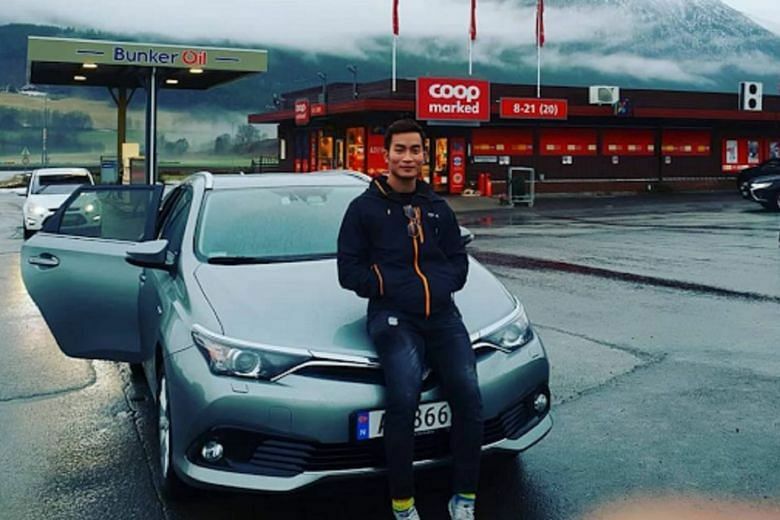 So when he saw a drunk man fall into a river on Nov 10, Mr Clement Tan, a 21-year-old Singaporean studying in a university in London could have walked on . After all, the man was not alone - he had been drinking with his friends. And it was winter - so the water would be freezing. In addition, Mr Tan was hardly dressed for the occasion, being in pants and a school T-shirt with a jacket on. However, the former water polo player and Republic of Singapore Navy officer decided he had to do something. He plunged into the water and saved the life of the drowning man, though at one point during the rescue, Mr Tan felt like he himself might be in danger of drowning. Despite his heroic actions, he said: "I don't think what I did was anything extraordinary. I think it's a natural reaction to want to help someone in distress." They come from thousands of kilometres away, leaving their homes and families behind to do exhausting work no one else wants to do. 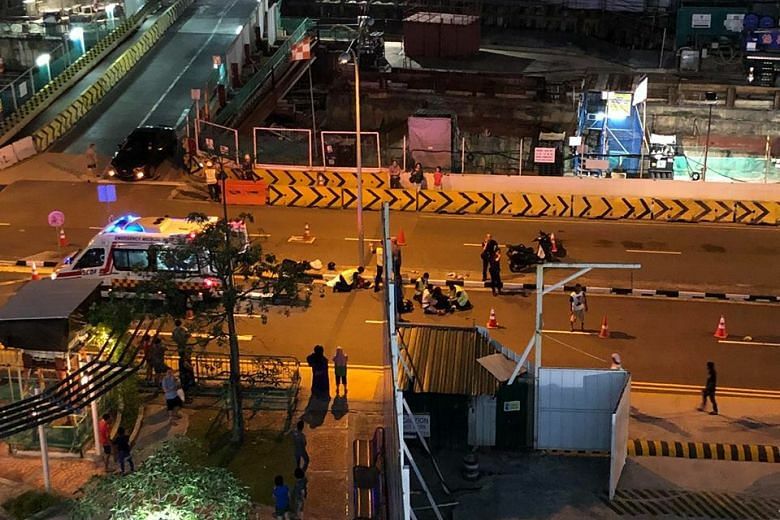 So when an accident happened near a construction site on March 24, hardly anyone would say the foreign workers there were obliged to stop their work and provide assistance. But they did anyway - and even went so far as to act as impromptu traffic wardens, guiding cars around the accident site. The group of unnamed foreign workers set up traffic cones along a stretch of the road, and used light sticks and a stop/go sign to alert motorists and ease the flow of traffic. Reacting to the story on ST's Facebook page, user Kok Chwee Sim wrote: "Indeed, these construction workers from South Asia are some of the better people in our community. On many occasions, they have rendered help not only to people but also to animals. "On our public transport, they are among the first to offer their seats to elderly commuters, to expectant mothers and children." They were already on their way to attend to another patient in Jurong. 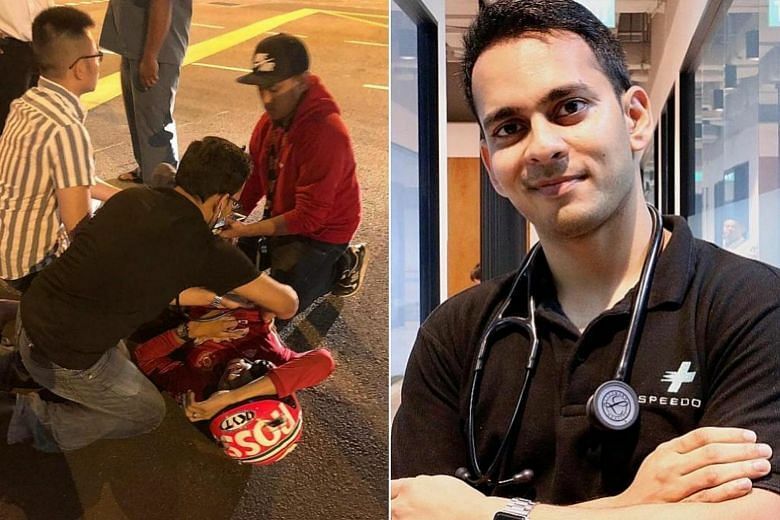 However, when a doctor-nurse pair spotted a man lying on the road near Lau Pa Sat on Oct 7, they stopped to help him - and stabilised him until an ambulance could arrive. Dr Shravan Verma, 30, who runs a 24-hour mobile medical service, helped to immobilise the man's neck in case of a spinal injury, before checking his vital signs and making sure there were no signs of severe injuries. He then stayed with the man, until the ambulance arrived about 30 minutes later. While there was admiration for Dr Verma's actions, some netizens also commented on his good looks. A later report found that Dr Verma was indeed single, though he said: "I try not to think about what people think of me, and just focus on being a good doctor and person."